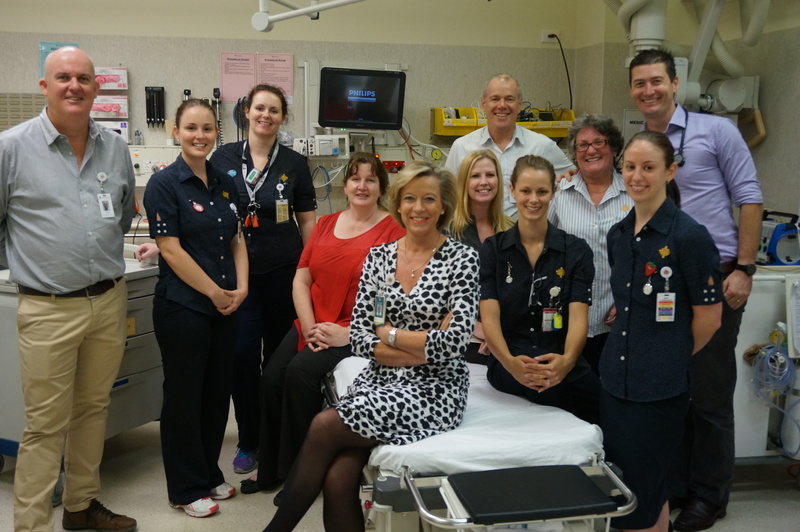 Patients have voted Murdoch Private Hospital Emergency as the top private emergency department in Australia for the second year running. Both in 2013 and 2014, the department was ranked the best compared with other private departments of a similar size in an annual survey by global health organisation surveyors, Press Ganey. Director Emergency Medicine Paul Bailey says the score is the result of strategies that have reduced waiting times and his team consistently working hard to deliver the best care possible. “We are delighted with the result as it reflects our patients’ happiness with our service,” says Dr Bailey. Patients commented that Murdoch Private Hospital Emergency staff were helpful, kind, offered excellent communication about their care and that the care they received was of an extremely high standard. Murdoch Private Hospital Emergency is also involved in conducting research and quality improvement; most recently, the medicine of endurance exercise, palliative care and Emergency Department service redesign. “We have made great strides in research in the past three years, including the investigation of staff perceptions of palliative care, reasons behind patients choosing private emergency departments and the management of pain,” says Professor Emergency Medicine Ian Rogers. ← Am I having a heart attack?